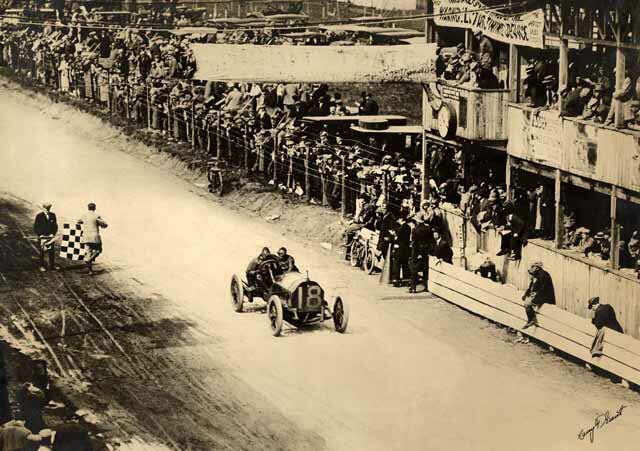 Here, driver Harry Grant and mechanician Frank Lee can be seen in the #8 Alco at the same Westbury turn during the 1908 Vanderbilt Cup Race. 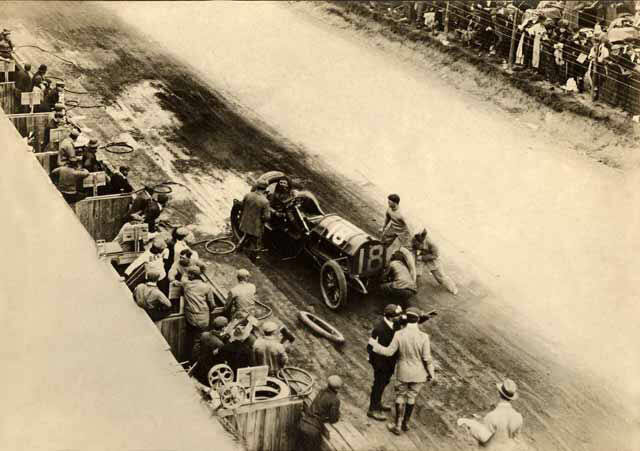 In this dealership photo, the tires of the #18 Alco were being changed at the service "pits" at the grandstand on the Long Island Motor Parkway. In front of the racer, starter Fred Wagner (left) was speaking to referee William K. Vanderbilt Jr (right). 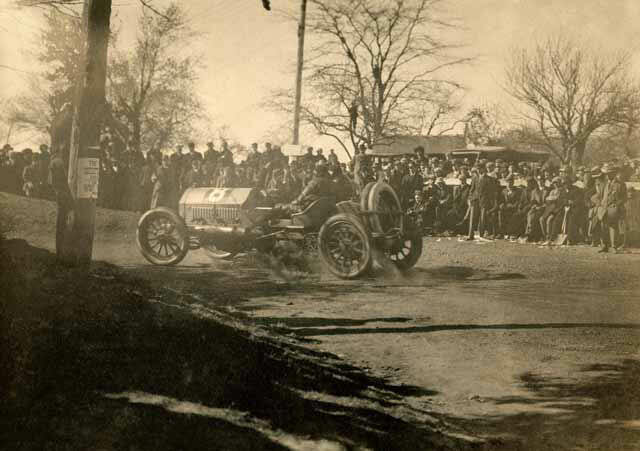 The fourth dealership poster captured the Alco winning the 1910 Vanderbilt Cup Race. The photographer was located on top of the Hempstead Plains (now Levittown) grandstand. Note Harry Grant's signature on the photo. Index to other posts on the Alco-6 Racer. These are awesome!!! Hope all is well with you.